I re-read this book in paperback as part of the 2014 Hub Challenge. In this third humorous boy book, the hilarious trio of Cooper, Matt and Sean have come up with another wacky idea to gain notoriety with girls (they think) of producing a scary movie to win the prize money and help Sean who has to give up his bedroom since his mother is pregnant. Worse than living with his twin sister is listening to her call him gay, which he is not; he is just sensitive and a little bit weird. Calame is at his best with characters like Uncle Doug, Nessa, crazy Nick and Evelyn. Crude, lots of boy humour (sexual) and lots of laughs. 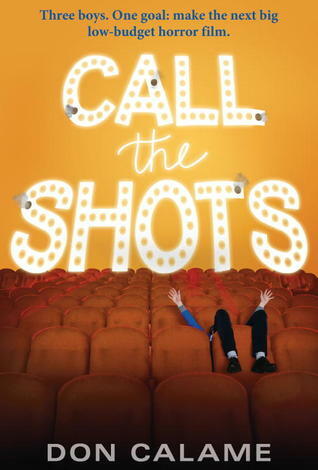 Sign into Goodreads to see if any of your friends have read Call the Shots.